Globally trusted, and with over 60 years experience, Kingspan offer a wide range of reliable and quality wastewater management solutions for domestic, commercial and industrial applications. 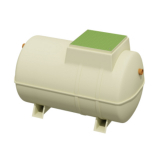 Kingspan's Klargester range contains a selection of sewage treatment plants and accessories for your home, agricultural or commercial property. The Klargester BioFicient sewage treatment plant is designed for commercial use, comes in a range of sizes to suit your site. Manufactured from the highest quality materials and using the latest treatment technology, it is easy to set up and operate, and can be installed to serve up to 30 people. It has a shallow structure, meaning that it can be used in shallow soiled areas, and is also suitable for use in traffic areas. 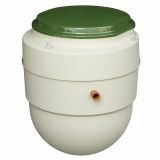 Klargester Biodisc is designed for domestic dwellings without access to mains drainage. 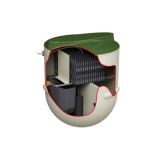 A reliable, efficient and environmentally safe solution to your sewage disposal needs, the Biodisc sewage treatment plant is ideal for locations where discharge is able to go to a soakaway or approved watercourse. 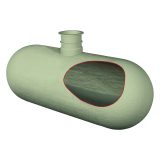 The Klargester Biodisc sewage treatment plant has a unique design, being the only packaged treatment plant to use rotation biological contractor technology, helping to reduce costs, making it the sewage treatment model with the lowest running and maintenance costs in its class, and increase performance benefits whilst retaining a low carbon footprint. Klargester Biotec is the economical solution for single houses, using an aerobic biological process to treat domestic sewage. No mechanical or electrical components exist within the plant, which helps to contribute to low running and maintenance costs, with annual desludging being the only real maintenance required.